There are so many projects I need to post about, not the least of which is Pamela Wynne’s Elf Boots (Seriously, need a gift and are short on time? Make these. They’re fun, fast, and charming as can be!) For now, though, it would be sad if I couldn’t even manage to post about my new pattern. These mittens were inspired by a teeny little photo of a Quaker cross stitch sampler that I saw in a magazine back in September. 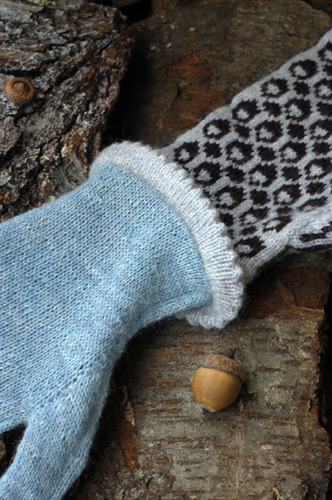 I made a sketch of the mitten, but was wishing I had a better view of the sampler, so poked around the internet and lo and behold, they are famous! And rightly so. Here’s a much better view of the sampler I saw that little photo of. Isn’t it lovely? 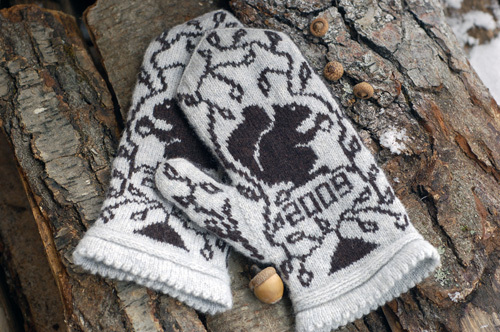 I knit about 5 different squirrels before I was satisfied, put stylized acorns all over the palms, added a picot edge and textured braids, and even an optional 3D acorn. 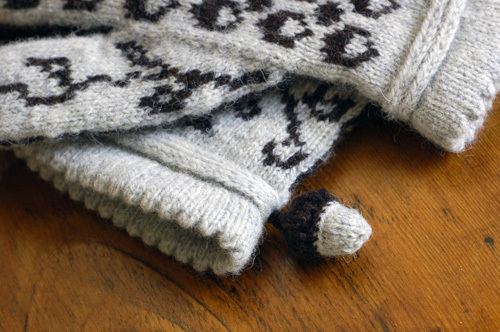 The lining is picked up from the inside hem edge and then pushed up inside after it’s knit. It is soft, soft, soft. A ton of thanks to Pamela Wynne for allowing me to reprint her darling Wee Twee Tiny Acorn pattern. 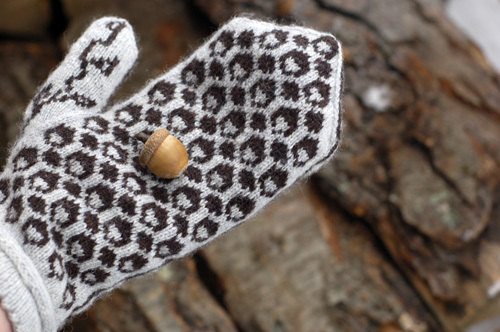 It’s available on Ravelry for all your tiny acorn needs. Many thanks to David for forcing me to design a new pattern. He is a harsh taskmaster and had me sitting at the dining room table first thing every morning, working on stranded knitting on size 0 needles before I’d even had a reasonable amount of coffee. Also thanks to my awesome test knitters and tech editor for all their help. It’d be a sad pattern without them!